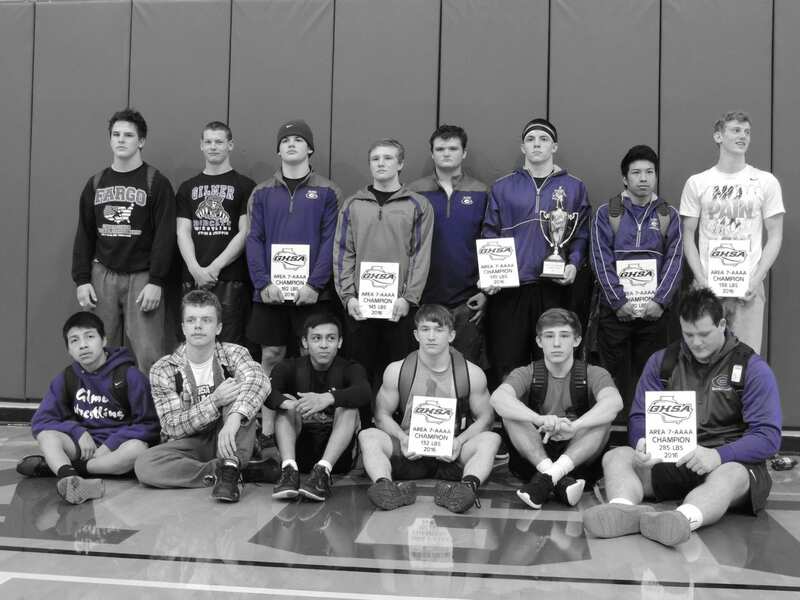 The Gilmer High School wrestling team parlayed their 16th state duals championship into a dominant performance at the 2015-16 Area 7AAAA Traditionals last Saturday at Pickens High School in Jasper. Winning the traditional tournament outright was 120-pound Alberto Perez, Lucas Patterson (132 pounds), Ethan Teague (138), Keegan Sharpe (145), Jake Parker (170), Matthew Waddell (182) and Levi Seabolt (285). Daniel Puac (106), Trevor Preece (126), Grant Ledford (152) and Ryan Crump each took second place in their respective weight class, while Jordan Caviness (160) finished in third place. Micah Young (220) rounded out the Bobcats qualifiers with a sixth-place finish in his bracket. Gilmer will host the sectionals tournament Friday and Saturday.